The house that Florence Nightingale lived and died in. Description: In 1865, at the age of 45, Florence Nightingale settled here in the West End of London, and, apart from occasional visits to Embley, Lea Hurst and to her sister at Claydon House, until her death here on August 13th 1910. She received the Order of Merit of the British Empire, the first woman recipient, from Queen Victoria in 1908, and the Honorary Freedom award of the City of London. 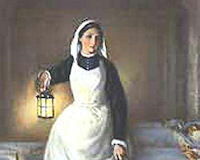 Nightingale known as the Lady of the Lamp worked selflessly as a young nurse during the Crimean War and later, as a hospital reformer, won an everlasting place in British history. 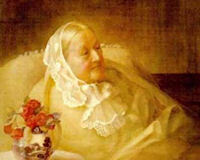 Her nursing skills and tireless campaigning to clean up filthy field hospitals in the Crimea slashed the death rates of wounded soldiers from typhoid and cholera between 1854 and 1856. 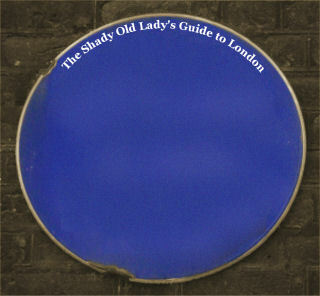 (When she moved in, it was originally numbered 35). In 1929 the house was demolished (some artifacts were removed to the Florence Nightingale Museum). The official Florence Nightingale and Crimean war museum.